The Body Dungeon By John DeFendis. Mr. USA 1988.
bodybuilders have visited this site. Click Here for bodybuilding links. Welcome to The Body Dungeon! to all who wish to embrace his "Intensity or Insanity" principles. 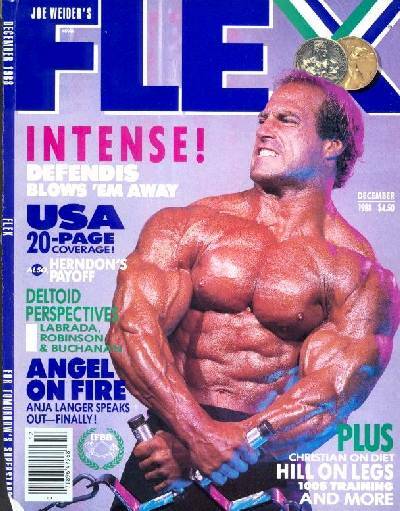 Here is Johnny on the cover of Flex! This photo is huge so be patient. Flex is a copyright and trademark of it's respective owners. The contents of this site are owned by John DeFendis 1998© .